Use range operation procedures any time LFXs are conducted on the range. These procedures are the same for all range firing exercises. a. Brief the gun crews on the range setup, fire commands, and safety procedures. Explain exercise needs as defined by the unit commander, or as they are to be done by the firing tables. b. Divide the crews into groups and assign each group a firing point and an assistant instructor (AI). 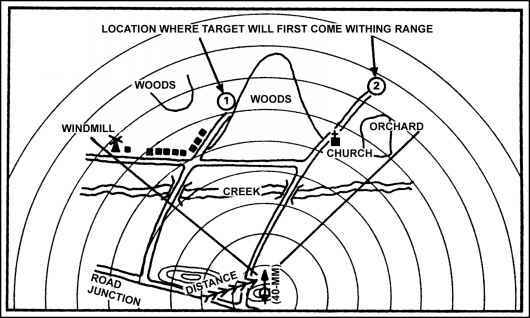 Ensure they are directed to their firing points and are shown their assigned sectors of fire. Have the Als ensure that all crews have the equipment needed to perform the task. c. Conduct the exercise. For example you can command GUNNER, WHEN I SAY BEGIN, PLACE THE MK 19 INTO OPERATION ON THE TRIPOD (ORGANIC CARRIER) WITHIN_MINUTES. ARE THERE ANY QUESTIONS? (pause) BEGIN. At the end of the given time period, direct STOP. Als, CRITIQUE YOUR CREWS AND GIVE ME YOUR "UP" SIGNAL WHEN YOU HAVE FINISHED.